Today I felt like eating something light. I am having one of my moments I guess so out came the pasta and I boiled it al dente of coure. I first thought of doing a Pasta Veggie Stir Fry but then I thought I really did not need anymore oil thanks to some curry puffs Eda made. Then Eda pulls out a Tupperware of nicely sliced lotus root from the freezer and we are both wondering when and how it got there, I am sure Yus had something to do with that. 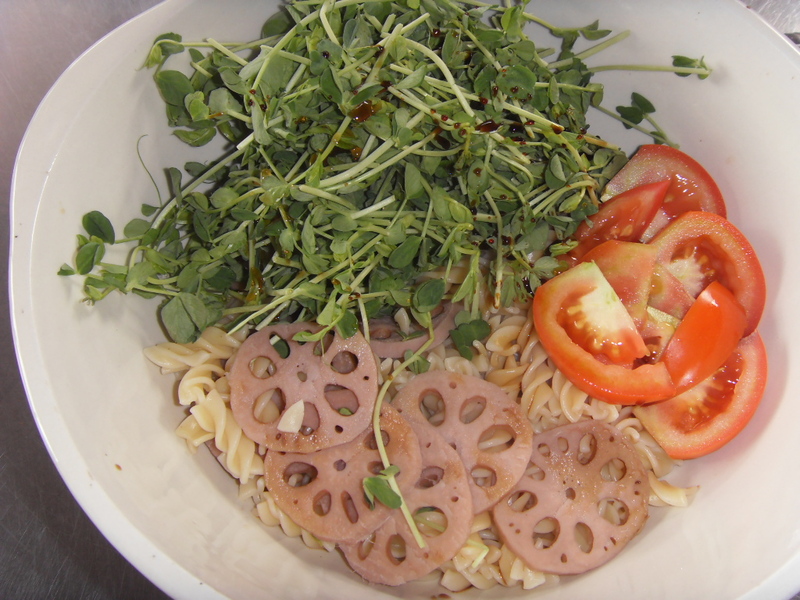 So Lotus Root was one of the ingredients in my salad. 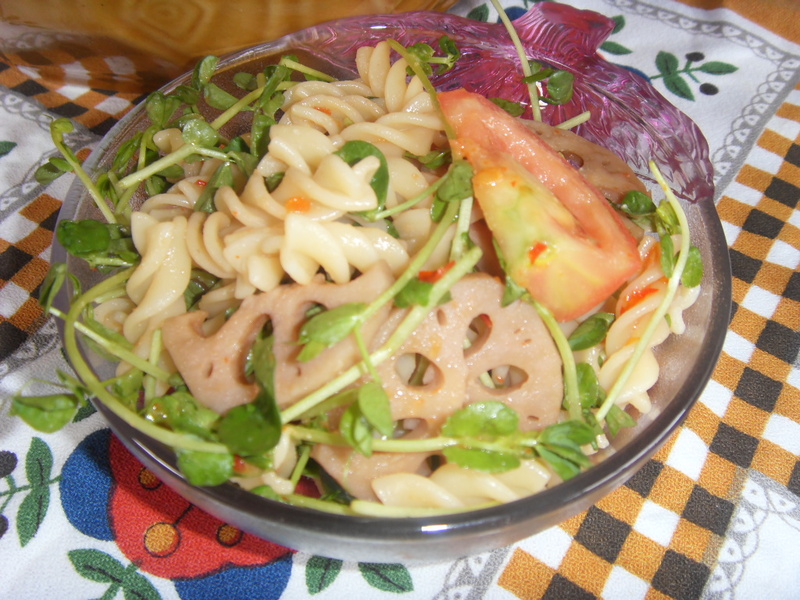 Then I had some Tao Miu (Can’t remember it’s a sprout of some sort) which I threw in and a tomato just for some color. Mix the salad and dressing together and enjoy it. My friend Carol Shun kind of went all quiet on me when I sms’d her the ingredients. It was nice and light I should say. I like simplicity with a lot of punch! I have to add after eating and looking at the photo, I think a teensy bit of sesame seeds would have been nice sprinkled on the top and perhaps some grated orange rind and thinly sliced lemon grass. Just a thought after I ate it and looked properly at the photo. You should try it. The versatility of Nam Yee is plenty. Should introduce more recipes soon.